One of the most popular posts on Maldives Complete and frequent topics on the TripAdvisor Maldives Forum concerns the best times of year for sunshine. Despite all of the spousal-celebration, scenery, snorkelling, surfing, super-deluxe, the “S” that is the Maldives’ first and foremost allure is the sunshine. Being an equatorial destination, the fact is that pretty much all of the Maldives is sunny and warm pretty much all of the time. Sure, there are bad days and there are a few times of year (eg. January through March) where the sunshine is uncannily persistent. But when people are shelling out for the life of a lifetime, they will split hairs on the securing just the best weather possible (mind you, I maintain that going to such obsessive lengths can lead to major disappointment if you catch some simply bad luck). kicks up the water stirring the sand and reducing the crystal-clarity of the waters for snorkelling. limits romantic beach dining as sand gets blown into food, candles get blown out and table items get knocked over. hit reefs from the right direction drive currents into them for world-class surfing. off the water on a toasty day is that perfect cocktail of warmth and cooling. power great sailing, windsurfing or kite surfing. Comparing the prevailing winds to the location of the water sports center might optimise your fun if this activity is a big priority. Guests also enquire about “sunset” or “sunrise” depending on whether they like to savour their daily solar ritual with a coffee or a cocktail (sunset is more popular by far). But the wind equivalent is “leeward” versus “windward”. Though this distinction changes with the season. In fact, the “monsoon” seasons are characterised by the shifting of the winds from one direction to another. So a leeward villa one part of the year will likely be windward another time. 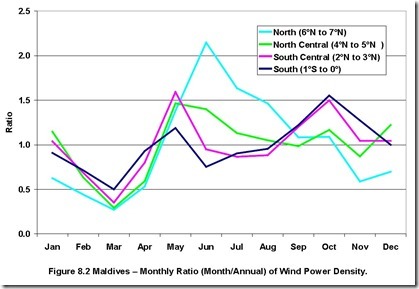 For more real time indications, you can also check out the Wind Finder website which includes up-to-date tracking of Maldives conditions.